Extend your iCLASS® or iCLASS SE® access control solution to include long range parking and gate control. This dual technology solution conveniently supports door, parking and gate control on a single card credential. 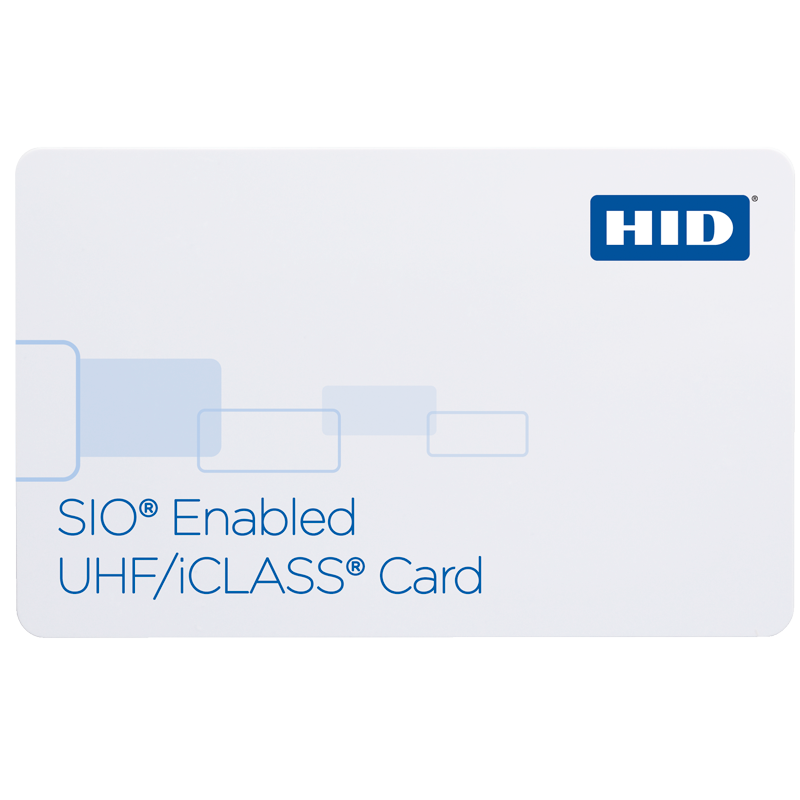 HID Global’s SIO® Enabled UHF/iCLASS Smart Card is the most secure UHF credential available. Data is password protected for safe storage of confidential or sensitive data in the tag’s user memory. In addition, HID Global’s Secure Identity Object® (SIO) data model adds an additional layer of encryption and authentication for advanced security and performance. 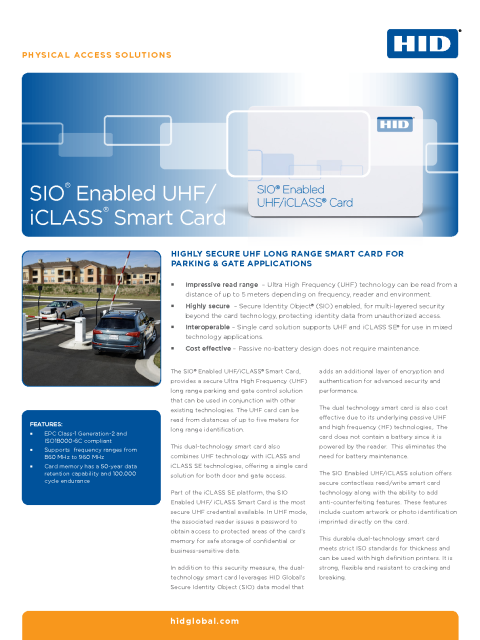 When branding and visual security are important, the SIO Enabled UHF/iCLASS Smart Card can be graphically enhanced with custom artwork, photo identification or anti-counterfeiting features such as holograms or micro-printing using a high definition print process. Dynamic – Dual-technology smart card enables iCLASS architectures to seamlessly add long range parking and gate control. Highly secure – UHF technology features the Secure Identity Object (SIO) data model, providing an additional layer of security to protect identity data from unauthorized access. Excellent read range – UHF technology can be read from a distance of up to three meters depending on frequency, reader and environment. 1 Encoding choice and data rate are set by the reader. 2 Direct To Card Printing not recommended.